Choosing a forex broker is a particularly important decision for a trader. Brokers provide support for your trading in all kinds of ways, but you need to know just what is on offer from most brokers and what makes one different from another. A forex broker is, first of all, your window on the international forex market. You only see what the broker enables you to see. Then, the broker provides the platform that helps you manages all of your trading, and keeps that platform functional and secure. The broker actually executes your trades, and settles them with you, and the broker provides you with leverage to trade larger amounts. Is your forex broker reputable? Clearly, with a broker responsible for keeping your money on account, you want to first make sure the broker is reputable. In the US, reputable forex brokers belong to the National Futures Association. The NFA Futures Association (NFA) is a self-regulatory organization reporting to the U.S. Commodity Futures Trading Commission (CFTC). 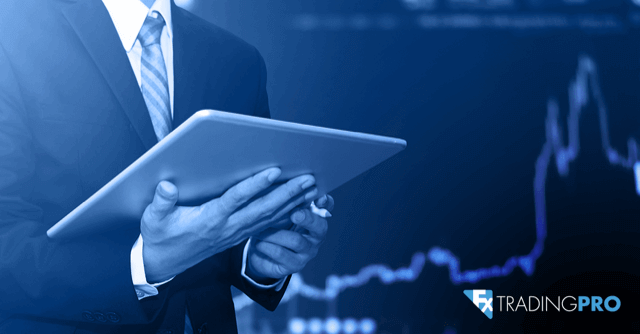 The NFA focuses on overseeing and regulating the U.S. futures industry, and forex brokers. Working with a broker who is registered with the NFA provides a significant amount of safety for your money. Apart from reliability, your broker should manage a secure forex trading platform — one with reasonable protection against threats. Check on what kind of security is provided before funding. Do you have access to your funds? This writer once had to wait a month to get back profit from trades – my broker had rules that delayed withdrawals. Most reputable brokers will give you reasonably easy access to your funds. If not, look for another. Similarly, the initial deposit required to start trading should be well within your means. Some brokers will open an account for as little as $50, and that’s fine if there are no special conditions. Others demand larger amounts, and that’s okay too so long as you feel you’re getting value for it. Can your forex broker provide the leverage you need? Every forex trader should employ leverage based on an individual strategy, so a broker must be able to provide the leverage and margin you need. Most brokers will have a variety of account types, with different offers for leverage. You are, of course, limited by US rules that don’t allow more than 1:50 (that’s the NFA at work again). Margins cover the amount you have at risk in a trade, and the broker will close you out if your trade goes beyond that amount which you have on deposit. Your broker will have leverage and margin rules visible on the trading platform. Make sure you understand them, and that they work for you. If not, try another broker. Can your broker provide the spreads you need? The spread is the difference between the bid and the ask price. Brokers earn their keep by taking the spread each time you trade. You don’t start making money on a trade until you get through the spread. Thus tight spreads are cheaper than wide spreads. And some brokers make a point of offering tight spreads, while others only offer them in certain conditions, or on certain currency pairs. If you are a trader who makes many small trades every day, obviously you will look for a trader with tight spreads. If you are a trader who makes trades that last a month, then a wide spread may not matter much to you. The important thing is to choose according to your trading style, and make sure the broker accommodates you. Does your broker offer the currency pairs you wish to trade? There are a total of about 180 currency pairs available to trade. Most forex brokers don’t list all of them, as some are not very liquid so there isn’t a lot of activity with them. That doesn’t mean that you can’t trade very exotic pairs, it’s just that you have to choose a forex broker that lists them. So choose the broker that has the selection you want. Does your broker execute trades rapidly? The Forex market moves in nanoseconds, so you must be sure to have your trades executed rapidly – a trade delayed for five minutes might well be a trade you no longer wish to make. To ensure rapid trading, first of all make certain that the broker has a reliable and steady network. You can best do this by trying the demo (although remember that demo trading is very different from real trading). If you find that the network drops all the time, move on. Trades should be executed in a few seconds, and at least close to the price you expected. Does your forex broker have reliable customer service? That’s probably my reward for choosing a bad broker. Find a reason to call the customer service line when you begin trading, and see what kind of reception you get. If it’s similar to the one I got, walk on by (I did).